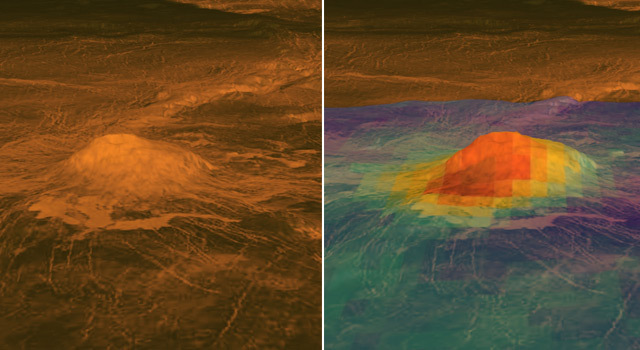 Topography and heat data suggesting signs of recent lava flows on the surface of Venus are revealed in this 360-degree view of the planet's volcanic peak Idunn Mons. Title - Topographic data from NASA's Magellan spacecraft, vertical exaggeration 30x. Title - Colored overlay shows new thermal data from Europe’s Venus Express spacecraft. Title - Youngest surface material appears to have a different composition (shown in red-orange), suggesting recent lava flows. 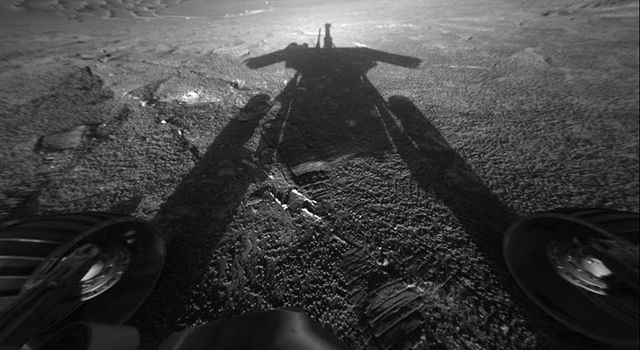 Title - Imagery from NASA / JPL-Caltech / ESA / ASI / CNES. 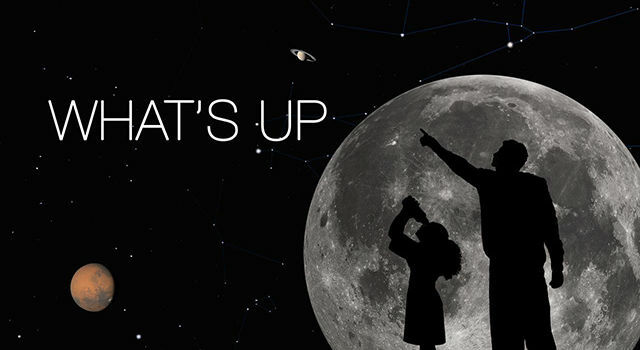 ESA: European Space Agency. ASI: Agenzia Spaziale Italiana (Italy). CNES: Centre National d’Etudes Spatiales (France).